The Garmin PRO 70 is straight forward. It has a 1 mile range and allows for 1-hand transmitter control so you can keep your eyes on your dog. The transmitter has a selection dial at the top of the transmitter with 6 levels of stimulation. The PRO 70 can expand up to 6 dogs (by purchasing additional collars). 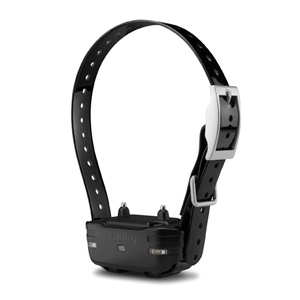 The dog collar has remotely operated LED beacon light for hunting or training in low light conditions. The unit has a built-in BarkLimiter to keep your dog quiet. The BarkLimiter has an Autorise technology that adjusts the correction level to the level that stops your dog from barking. The PRO 70 transmitter is a tube shaped design that professional trainers have found easy to operate so they can focus their attention on their dogs. The stimulation level/tone/LED selection dial is at the top of the handheld unit, allowing intuitive operation. There is a multi-dog toggle switch and the color-coded buttons line up for fingertip control. There is also a 2 ½-inch fixed transmitter antenna that cannot snap off, break or get lost. 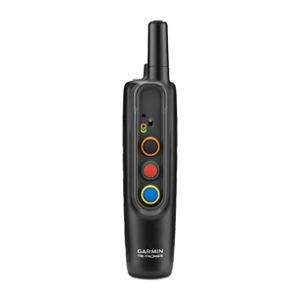 Both the handheld transmitter and the dog collar are designed to withstand all hunting conditions. The dog collar comes with 2 long and 2 short removable, stainless, insulated contact points. The dog collar is water rated to 1 ATM (10 meters). 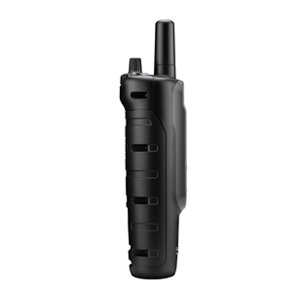 The PRO 70 handheld transmitter is water rated to IPX7. 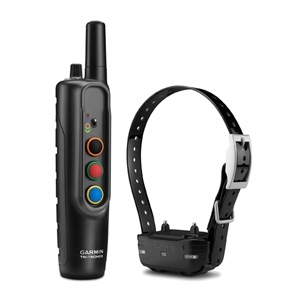 Both the transmitter and dog collar have rechargeable, lithium-ion batteries. A battery life indicator on the transmitter and dog device lets you know when to recharge the system. The PRO 70 color transmitter buttons can be paired with matching colored collars to help you keep track of which dogs are receiving stimulation and tone. One-dog system comes with a black strap. Two-dog system comes with an additional red strap. Three-dog system comes with additional red and blue straps. Four-dog system comes with additional red, blue, orange straps. Five-dog system comes with additional red, blue, orange, green straps. Six-dog system comes with additional red, blue, orange, green, yellow straps. A variety of additional 3/4" collar colors are available, click here. Our non-aviation products are warranted to be free from defects in materials or workmanship for 1 year from the date of purchase. Within this period, Garmin will, at its sole option, repair or replace any components that fail in normal use. Such repairs or replacement will be made at no charge to the customer for parts or labor, provided the customer shall be responsible for any transportation cost. This warranty does not apply to: (i) cosmetic damage, such as scratches, nicks and dents; (ii) consumable parts, such as batteries, unless product damage has occurred due to a defect in materials or workmanship; (iii) damage caused by accident, abuse, misuse, water, flood, fire, or other acts of nature or external causes; (iv) damage caused by service performed by anyone who is not an authorized service provider of Garmin; (v) damage to a product that has been modified or altered without the written permission of Garmin; or (vi) damage to a product that has been connected to power and/or data cables that are not supplied by Garmin. In addition, Garmin reserves the right to refuse warranty claims against products or services that are obtained and/or used in contravention of the laws of any country.